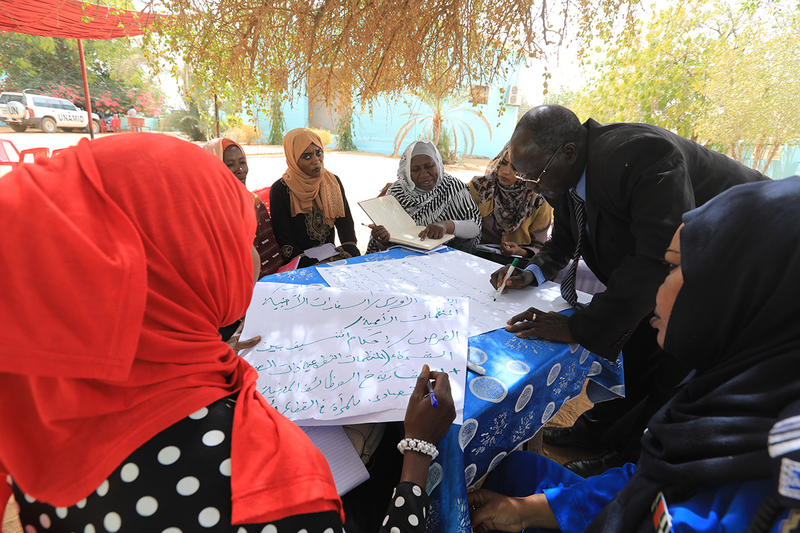 On 26 March 2019, UNAMID’s Gender Advisory Unit, in partnership with the Ministry of Health and Social Development in El Fasher, North Darfur conducted a one-day state-level open day workshop, attended by more than 50 participants. The Workshop focused on updating the Strategic Action Plan for the implementation of UNSCR 1325 on Women, Peace and Security. Photo by Amin Ismail, UNAMID.